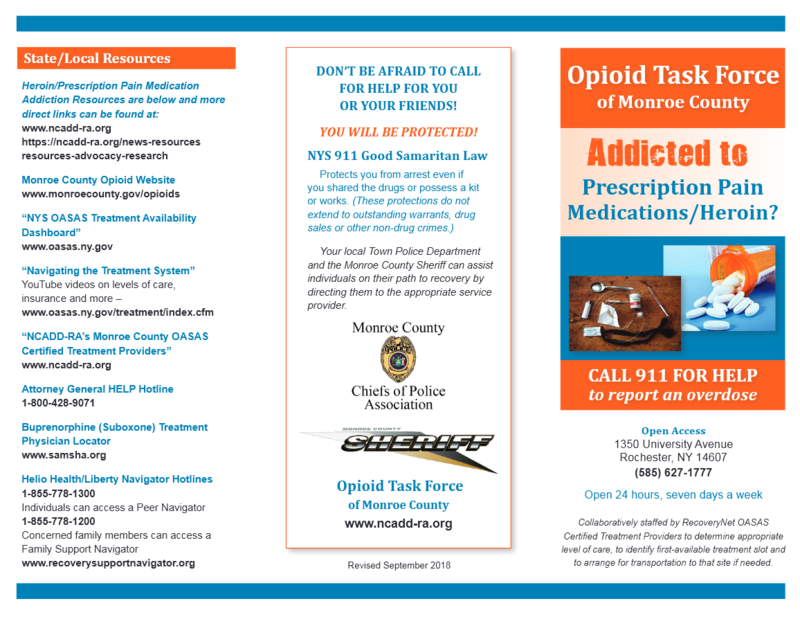 The Opioid Task Force of Monroe County, in response to the current Opioid Epidemic in our community, seeks a comprehensive multi-sector response with approaches that include prevention education, treatment, recovery, and enforcement strategies. We seek to ensure that individuals and families impacted by the disease of addiction, have full and complete access to prevention, treatment and recovery services on par with coverage equal to that of other diseases, thus removing the stigma surrounding the disease of addiction. 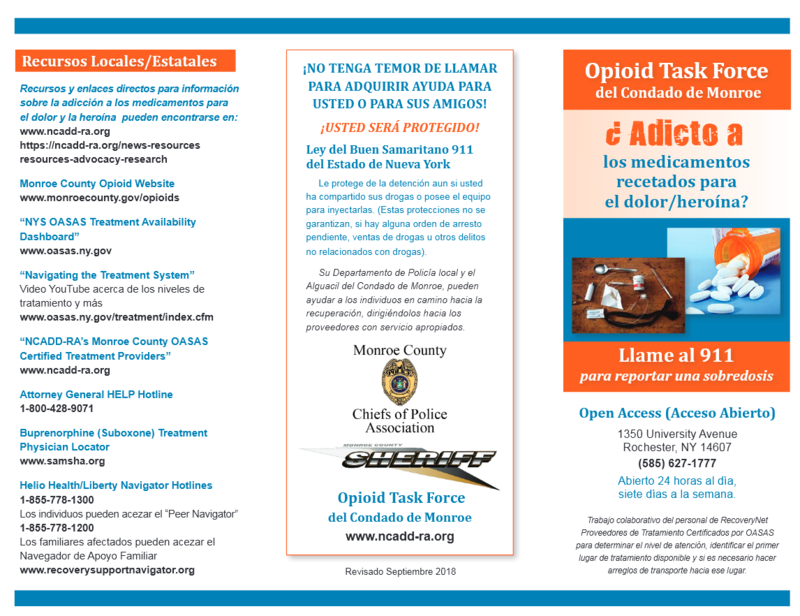 For more information on the Opioid Task Force of Monroe County, please contact Jennifer Faringer, NCADD-RA Director, at (585) 719-3480 or jfaringer@depaul.org.